The Data is provided "as is" without warranty or any representation of accuracy, timeliness or completeness. The burden for determining accuracy, completeness, timeliness, merchantability and fitness for or the appropriateness for use rests solely on the requester. 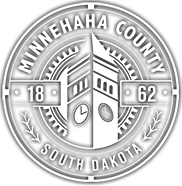 Minnehaha County makes no warranties, express or implied, as to the use of the Data. There are no implied warranties of merchantability or fitness for a particular purpose. The requester acknowledges and accepts the limitations of the Data, including the fact that the Data is dynamic and is in a constant state of maintenance, corrections and update. Click the "I Agree" button if you have read the disclaimer and agree to the terms and conditions. You will be directed to the Minnehaha County GIS Mapping page. Click the "I Disagree" button and you will be taken back to the GIS Home Page.